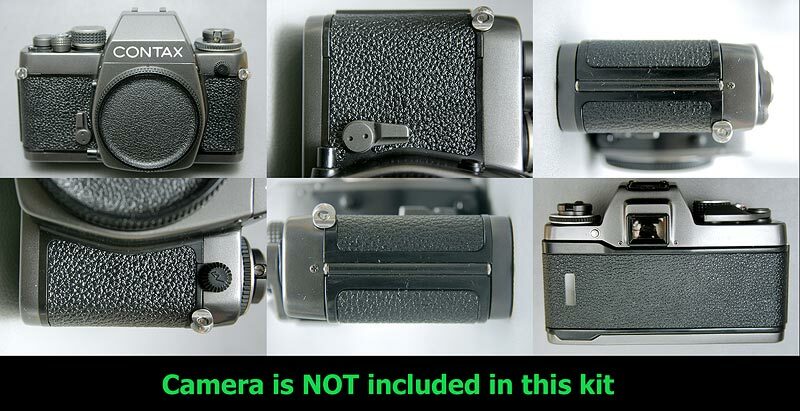 This is the custom kit for replacing CONTAX S2,S2b's covering. 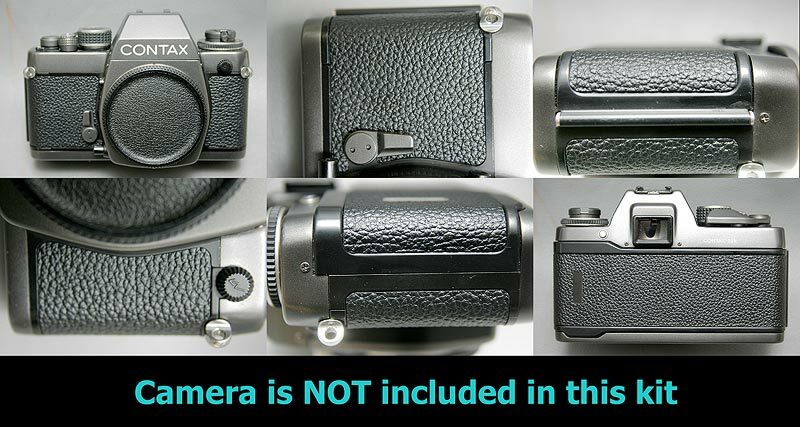 How exactly the covering fits to the CONTAX S2,S2b as you can see the above photo. 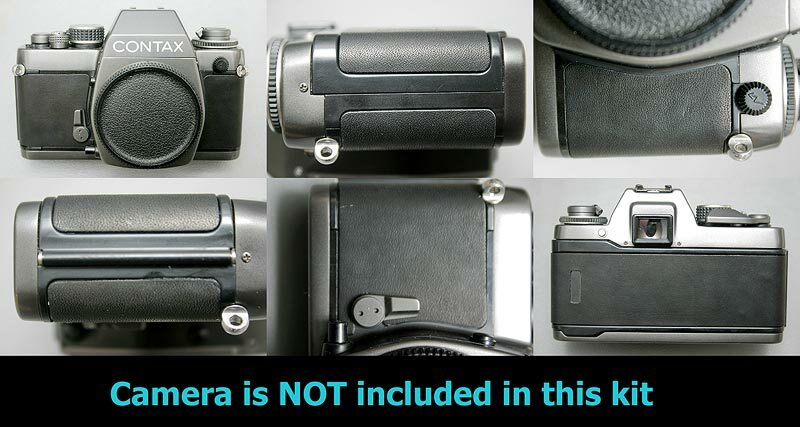 To view the enlarged view of the camera with covering, please click here. This kit only fits to CONTAX S2,S2b. The price is 14 USD (1 KIT) for S2,S2b camera body covering.